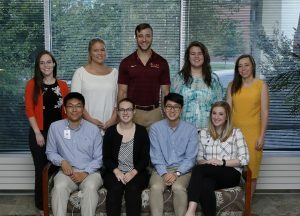 Twelve medical students from the Edward Via College of Osteopathic Medicine in Blacksburg will spend their third year of training in clinical rotations with physicians at Augusta Health. Clinical rotations, an important part of medical training, allow the medical students to leave the classroom and learn through experience in hospitals and clinics. After completing their third year rotations at Augusta Health, many of the students choose to return for fourth year clinical experiences at Augusta Health. Augusta Health was chosen by VCOM because its mission complements VCOM’s mission to train students to provide community-focused care. One of the goals of this training model is to encourage students to return to their clinical rotation community following residency to practice medicine.